Our favorite design projects all include hints of metallic touches. Metallics are one of the few things that stays on trend way beyond the holiday season. We use them to enhance natural lighting, modernize a traditional space, or to simply add a touch of glimmer to a neutral palette. 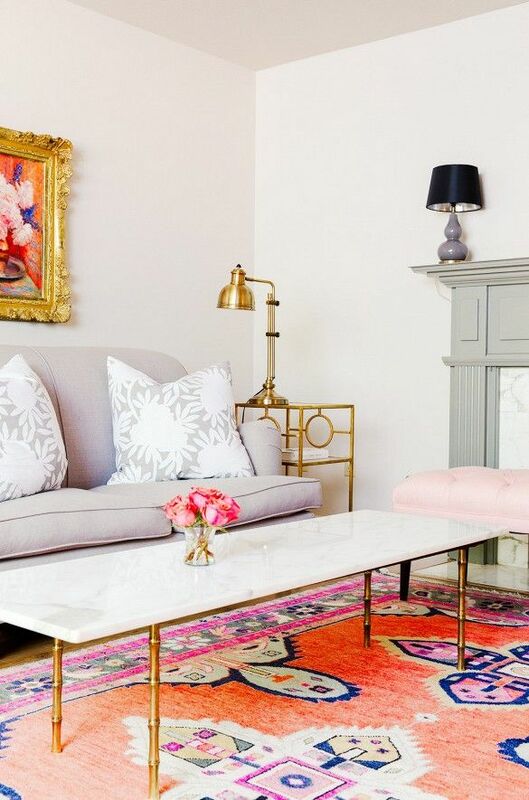 Below we’re sharing the inside scoop on decorating with metallics! For a more cohesive look, layer a neutral wall with your favorite metallic hue. 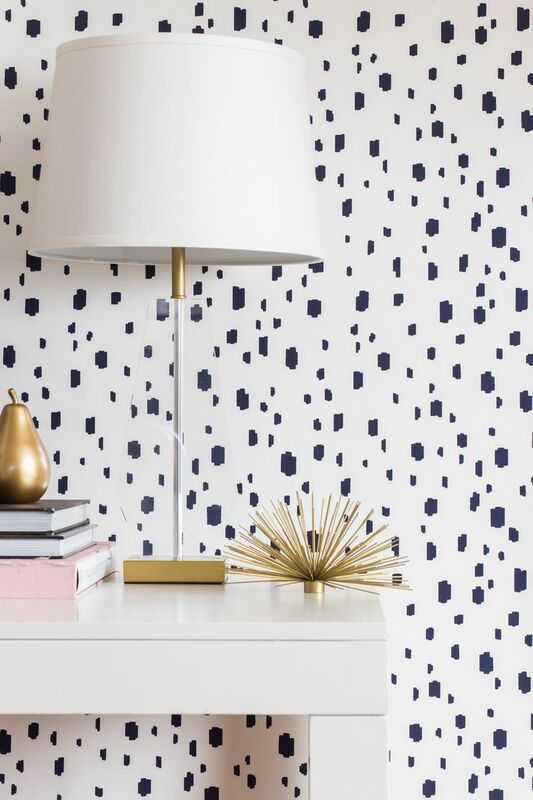 Offset your brass with Black Buffalo Check and BOOM… you have a sophisticated accent wall! With an anchoring piece like our Kate Settee in Blooms on Grey, a subtle metallic rimmed mirror is the perfect neutral tone to complement your favorite statement-piece. To help modernize a traditional space layer it with brass furniture pieces. 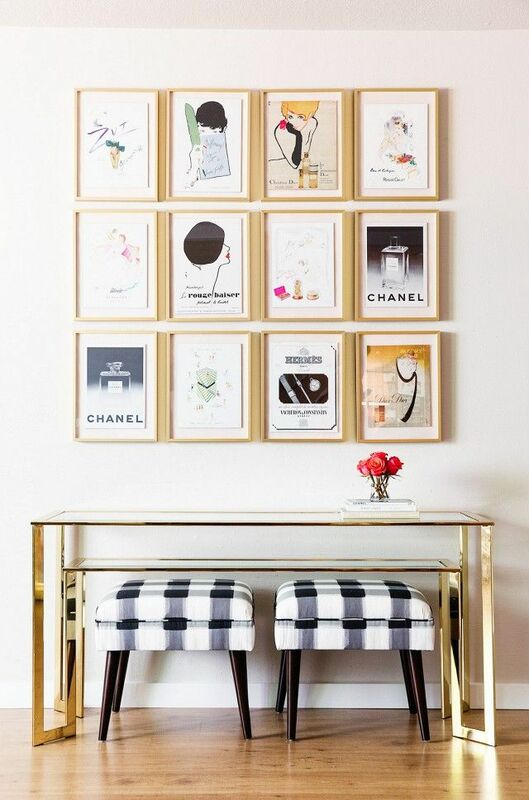 These metallic pieces will easily brighten up your space! 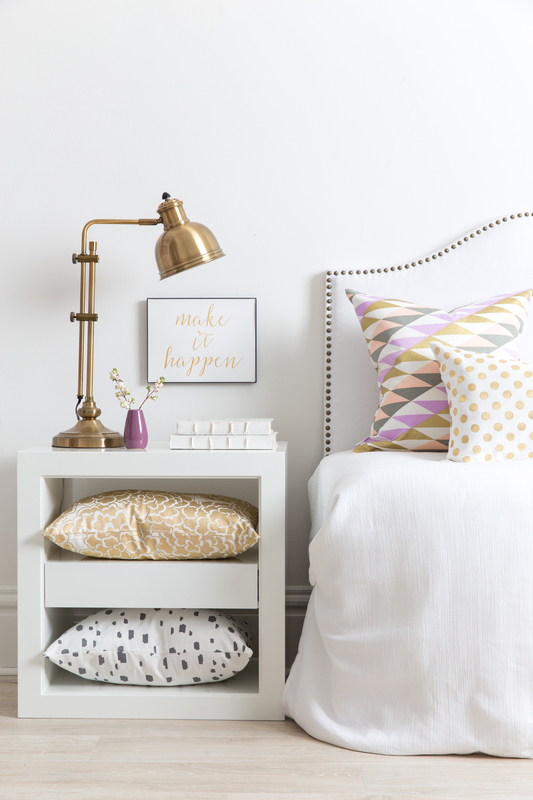 These gold Caitlin Wilson pillow covers glimmer in a room full of natural light! 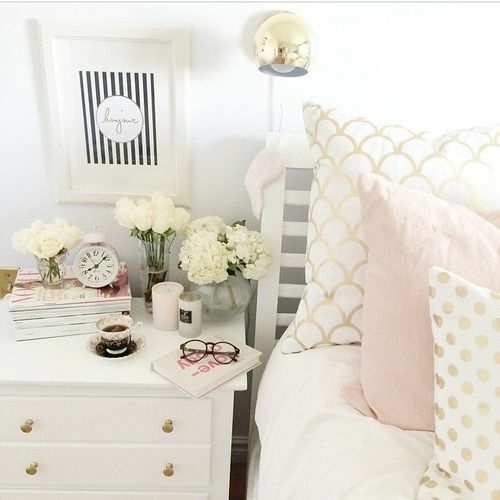 Pile them on a crisp white bed for a touch of glam that can be enjoyed throughout the holidays. Navy and white is one of our favorite color palettes to pair with metallic accents. 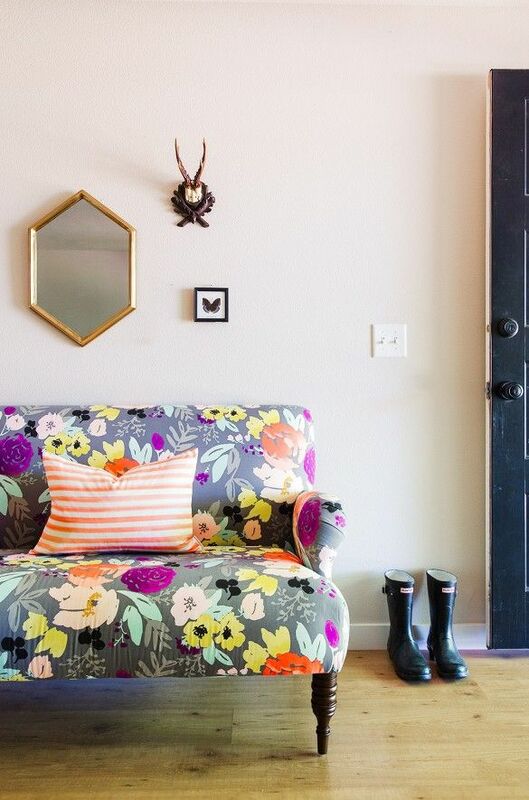 Use them to soften a bold print on an accent wall. I love the framed collage of vintage ads! Would you mind sharing the details on the thin brass frames? I would love to order some!